SEA asks the Labour conference to reject all 11+ selection. On Tuesday SEA’s delegate, Sarah Williams, will move the resolution on selective schooling at the Labour Conference. The resolution, if passed, will represent a significant moment in the long struggle against selection. It not only asks the party to oppose the current government proposals but also makes the case for the phasing out of all remaining selective education. The full text is in the previous post on this page. The latest issue of the SEA journal, Education Politics, addresses the issues around selection in detail. It contains an analysis of the arguments by Melissa Benn as well as a number of personal testimonies to the value of comprehensive schooling. 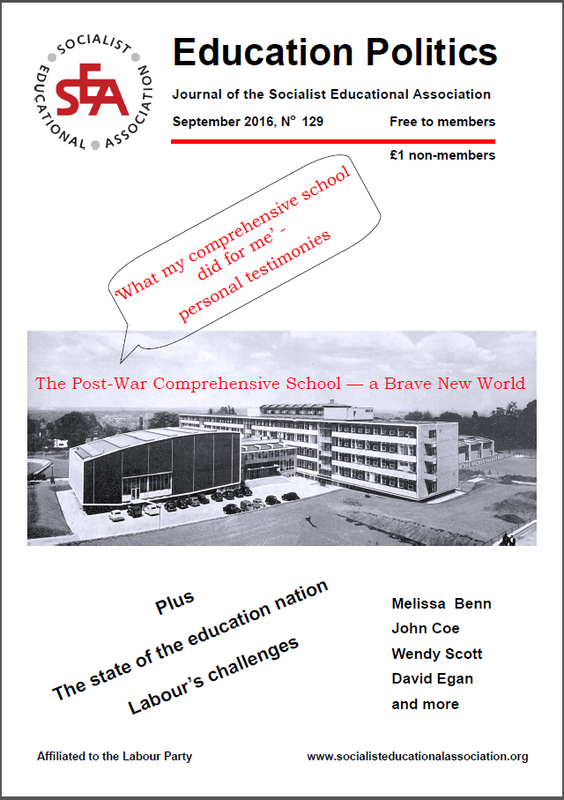 It can be accessed here: education-politics-september-2016. Defeating the government’s proposals won’t be easy. Ending selection everywhere will be even harder. So we would encourage all Labour members and supporters who want to be part of that campaign to join the SEA – just follow the tab on the top of this page.